E-textiles have been paid wide attention due of popularization of wearable devices, and its core is the preparation of conductive lines on the fabric surface. 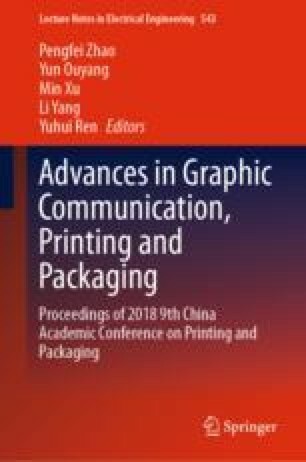 In this paper, conductive lines are quickly formed on the surface of cotton fabrics by means of screen-printed conductive inks. The effects of pretreatment methods such as alkali soaking of cotton fabrics, plasma and transparent slurry on the penetration of ink on fabric surface are studied. And the conductivity, water resistance of the patterns printed on the cotton fabric substrate are tested. The results show that the conductive pattern printed after the plasma treatment has the best conductivity, sheet resistance is 120.8 mΩ/square; the conductive pattern printed after the transparent slurry treatment is 134.8 mΩ/square; the conductivity after alkali soaking treatment is the worst, and its sheet resistance is 253.8 mΩ/square, which is even lower than the conductivity of the untreated conductive pattern. This study provides a new direction for the flexible integration of electronic components and textiles in electronic smart textiles. This work has been financed by BIGC through Project: (04190118002/064), Course Construction Project (22150118005/003) and College Student Research Training Project (22150118022/077).